Netherton Infant and Nursery School had an outdated playground and the new Headteacher Karen Beattie, wanted to inject some life into the area and get the children excited about being outdoors. Initially, they had a Pirate Ship which due to its old age and design, was far too prescriptive. At the same time, the school successfully applied for a grant from the council and re-surfaced the area with tarmac, leaving the school with an empty playground. Andy Snell had the pleasure of meeting with Karen to discuss outdoor developments after FONS (Friends of Netherton School) amazingly raised £5,000 to put towards the project. With huge amounts of free space to develop on, we decided to install an exciting Trim Trail to challenge children’s physical abilities and help better promote a healthy lifestyle. The trail will improve children’s balance, upper body strength, coordination and gross motor skills. As the children overcome each challenge, their confidence and self-esteem will grow and will make them more motivated and happy. 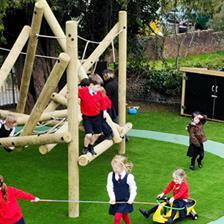 We added Wetpour Safety Surfacing around the equipment to ensure the children were able to take safe risks confidently. 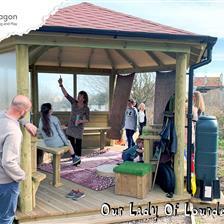 To further promote outdoor learning, we installed our Gazebo with Chalkboard and Seating. Teachers will now be able to take their entire class outside to create an inspiring place to learn about the curriculum. The watertight structure enables it to be used in all weathers and with the chalkboard and benches in place, teachers can create fantastic lesson scenarios including an introduction to live debates. The children must follow the school’s ethos which is Achieve, Friendship and Respect and to tie in with this, we created a special Friendship Bench for the children. With the words friendship engraved on the seat, the feedback on this addition has been fantastic. The Deputy Head was sat on the bench during break time (not realising it was the special friendship bench) and three children approached her and asked if she needed a friend to play with. We also included Picnic Benches for additional opportunities for bonding. To promote Maths and Literacy outdoors, we designed and added a Number Ladder and A-Z Alphabet Snake to the playground surface. These Playground Markings are fun and are a colourful way to help early years’ learners understand 1-20 and the entire alphabet. With the addition of a few materials and resources, fun outdoor games can be created to make learning Maths and English fun. 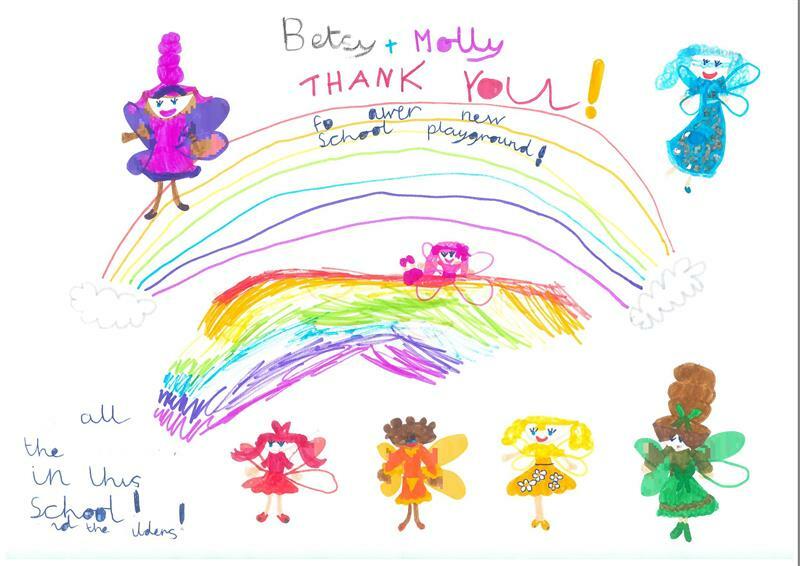 We re-visited the school and were overwhelmed with the positive response from the children. Is your playground in need of some inspiration? We have been in the industry since 1998 and our Unique Approach to projects sets us apart from the rest and is the main reason why 65% of our work comes from referrals and returning customers. 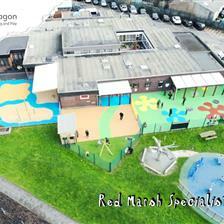 Feel free to Contact Us for a free playground consultation.